Home Design Want something new? Re-Design it! Want something new? Re-Design it! You may have heard the term Re-Design. What is it exactly? In literal terms, it’s to change the design of something. You can do this in many ways. 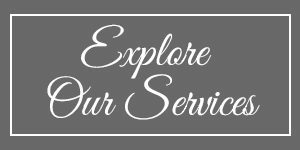 In decorating, you can start from scratch and come up with a new design scheme; new colors, new furniture, new layouts, new window treatments, new accessories. Or you can take something you already have and use it in a new way. Or you can tweak something you already have and create a totally new look. 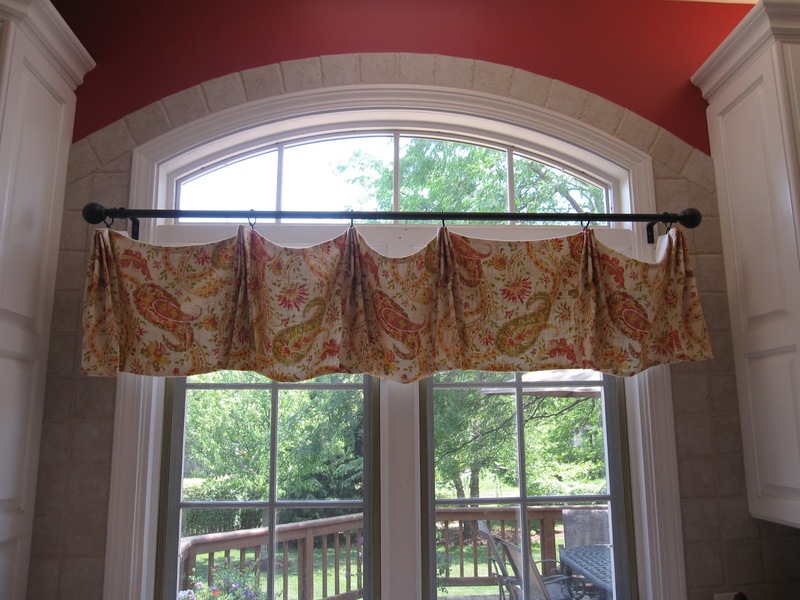 However you re-design, it’s fun to have change in the home and find a new appreciation for your decor. After all, your home is your haven. 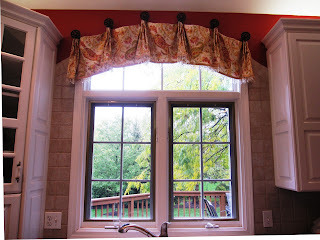 So make it inviting, comfortable and beautiful for you.Window Treatment Re-Design: We redesigned this over the sink window treatment. 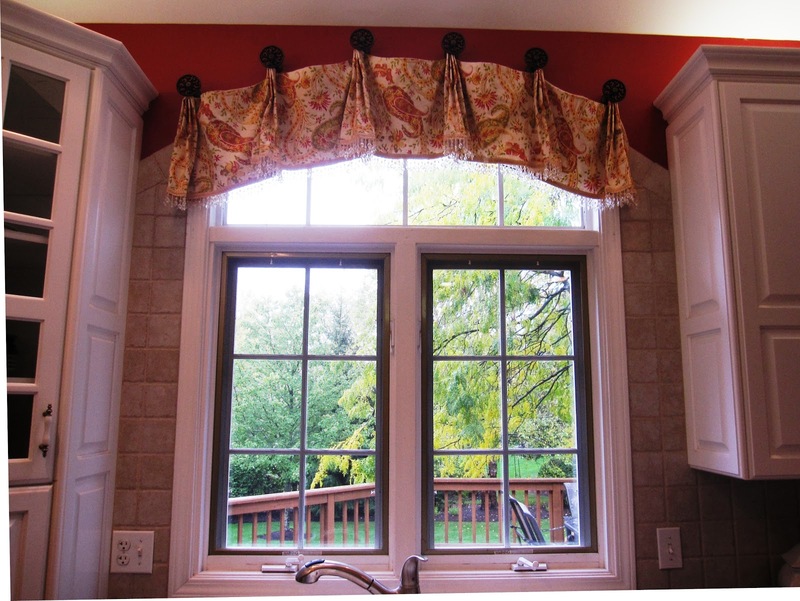 The homeowner wanted to open up her view over the sink so we raised the existing treatment with medallions to accentuate the arch of the window. 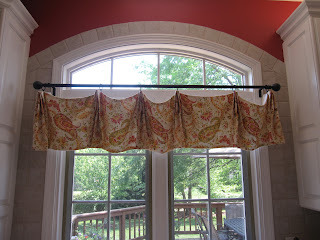 We also added some beaded trim so it would catch the light in the windows and add more interest.